Flueboost has been sizing, sourcing and supplying all types of inline flue fans since the 1970’s so have a wealth of knowledge about which product is most suitable for any given application. We stock our own range of inline flue fans together with products from Exodraft & Airflow Developments. Alison worked for many years at R & S Cartwrights alongside Roland, Jean & Simon Cartwright. She was initially employed to assist with the company’s accounts and payroll but became a Director of Flueboost in 2000, which operated successfully alongside R & S Cartwrights. Alison learned how to manage the business, skills that became invaluable when her husband Simon was diagnosed with a terminal illness in 2011. 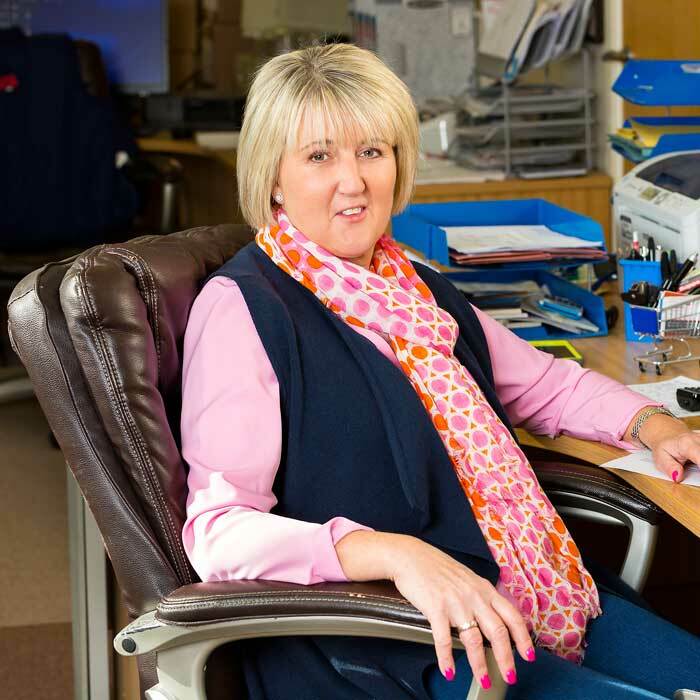 Alison has continued to develop the business in his memory and Flueboost retains the family ethos of offering products of excellent quality that are proudly manufactured in the UK. Stuart joined Flueboost from a background in construction site management. It is this experience gives him a unique insight into installations and technical enquiries and he regularly offers onsite support or training days at our Knutsford premises. Stuart has been involved with commercial projects so he is familiar with both M & E packages and CAD system drawings, meaning he can foresee design issues prior to installation and suggest alternatives.